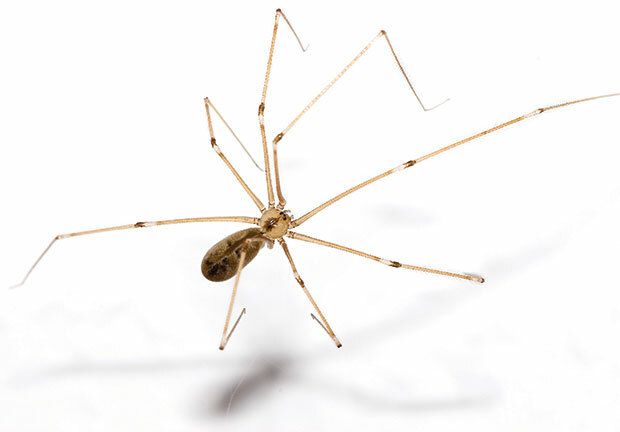 Cellar spiders (family Pholcidae) are common pests in basements and crawlspaces. They build abundant cobwebs and are often found hanging upside down between joists and in dark corners in cellars. When disturbed, these spiders will rapidly shake their webs to scare or ensnare potential predators. Because cellar spider cobwebs are so obvious in areas where spiders are active, the presence of webs alone can trigger a callback. A low-tech solution to spider web-related callbacks is as easy as physically removing webs. Vacuums, brooms or telescoping brushes are simple, effective ways to easily remove cellar spiders, their webs and eggs. By taking the time to sweep away or vacuum webs following the application of an appropriately labeled insecticide, pest management professionals (PMPs) can help reduce the likelihood of callbacks by minimizing the appearance of infestations. If a client sees cobwebs, even after a technician successfully controls the entire spider population, he or she is more likely to perceive that an infestation is still present — which can result in a return trip to the property. Removing webs serves more than just the appearance of control. During the process of web removal, the next generation of spiders is eliminated along with webs. Eggs and young spiderlings are swept away along with the webs during the cleanup process, quickly reducing populations. In addition to enhancing control, web removal also serves an integrated pest management (IPM) purpose: By eliminating the inactive webs, new activity can be easily identified. If a new web appears after cleanup occurs, control efforts can be focused on the infested area. When faced with a cellar spider infestation, removing cobwebs is just as important as eliminating the spiders themselves. The combination of treatment, physical removal of spiders and elimination of any perceived infestations will result in fewer callbacks and happy, spider-free clients. Contributor Dr. Fredericks, VP of technical and regulatory affairs for the National Pest Management Association, can be reached at jfredericks@pestworld.org.